Looking for a good hummus? In Response to Student and Faculty Concerns, Earlham College’s Dining Services Stops Selling Sabra Products. 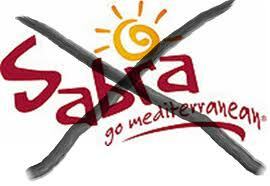 On September 5, Earlham College’s dining service agreed to have Sabra Hummus removed from the coffee shop after being informed of the involvement in Israeli human rights violations in Palestine by Strauss Group Ltd., of which Sabra Dipping Company, LLC is a subsidiary. The decision comes after a group of concerned students and faculty approached Earlham’s dining services requesting the removal of the product from the college’s facilities. Strauss Group Ltd. provides financial support and supplies to the Golani and Givati brigades of the Israeli army, which is responsible for enforcing Israel’s illegal, 45-year-old military occupation and colonization of Palestinian lands, and other grave and systematic human rights abuses. Earlham College’s dining services has promised to provide an alternative for the removed product, and noted that they take student concerns seriously and follow through with immediate action. Two years ago Earlham students launched a campaign calling on the College to divest from Motorola Solutions, Caterpillar, and Hewlett Packard, three companies that profit from and enable Israeli violations of international law. Last semester students with BDS Earlham also launched a “Dorm Storm” that has continued into the current school year, visiting all dorms and houses on campus, and engaging in discussions with students to educate them about the global Boycott, Divestment, and Sanctions (BDS) movement, launched by Palestinian civil society in 2005. Place in serving bowl, and create a shallow well in the center of the hummus. Add a small amount (1-2 tablespoons) of olive oil in the well. Garnish with parsley (optional). Serve with fresh, warm or toasted pita bread, or cover and refrigerate.